I believe in and stand for the most vulnerable, the children living on the streets of India. 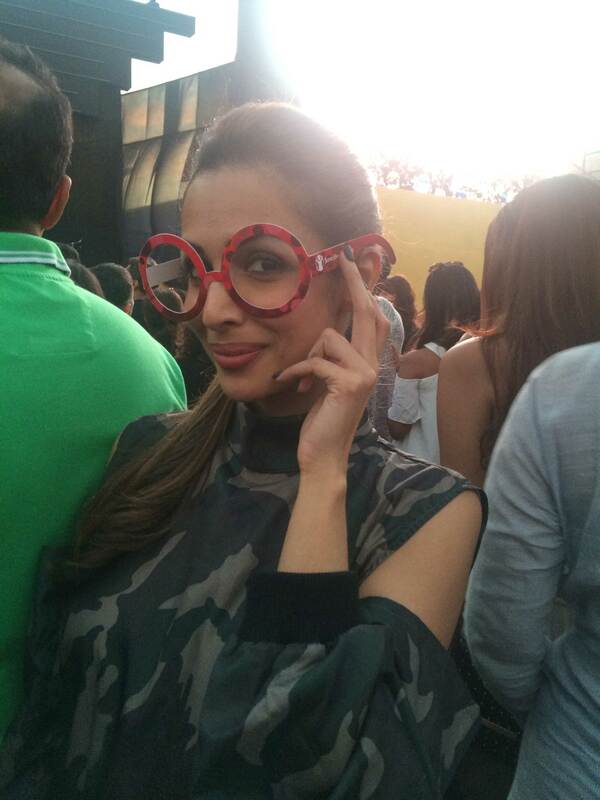 I Take the Pledge to do whatever I can to play a part in improving the lives of street children. 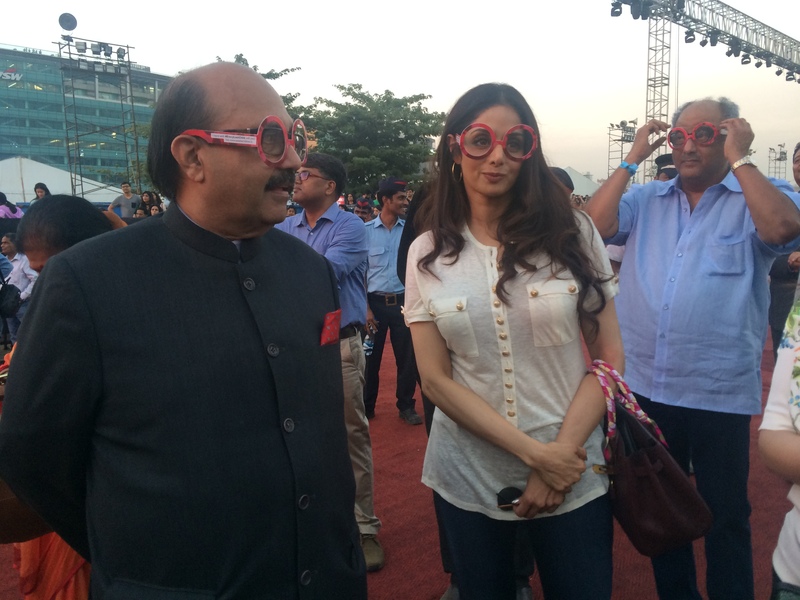 Watch the video to know more about our journey to make #TheInvisibles visible. You have seen them knocking at our car window, selling books at a traffic signal or working at a local eatery. Sometimes, you offer them food, sometimes money and very often you turn the other way, making them #TheInvisibles. Worst of all, children living on the streets lack an identity. The lives of street children are a reflection of sheer inhumaneness of our society. The Global Goals World Cup (GGWCup) is a global initiative in support of UN Sustainable Development Goals. Initiated in 2016, with 11 tournaments GGWCUP has traveled through Africa, Europe, America, Asia, with the latest edition reaching Mumbai on 2nd February. Earlier the same month, Norwegian Prime Minister and Global Goals Ambassador met with Prime Minister Modi to hand over the SDG football. This initiative focuses on empowering young girls and women around the world as advocates on SGDs. It is an open women’s soccer, spectator friendly, five a side tournament designed to leverage the power of sport to engage women for the SDGs. Our team from Mumbai, ‘8 ENTHUSIATS’ made up of girl champions from Hamara Foundation. And their motto is - 'Education is the Key’ for every child and especially so for children in street situation. Saleha, our Girl Champion was among the ambassador and mentor representing Dream Team an initiative by Global Goals World Cup, to nominate inspiring women and girls who have led change for gender equality and can now act as mentors to inspire many other to become advocates. The Global Goals World Cup is not business as usual. In this 5v5 tournament where sports meet activism players and the participants are more than just athletes and sport fans. Our team from Mumbai made up of 8 young girls, Zannat, Farzana, Sonali, Rajeshree, Deepika, Nisha, Ashwini, and Rizwana. Their motto is 'Education is the Key’. They are playing to make sure every child has access to education especially those in street situations, like them. 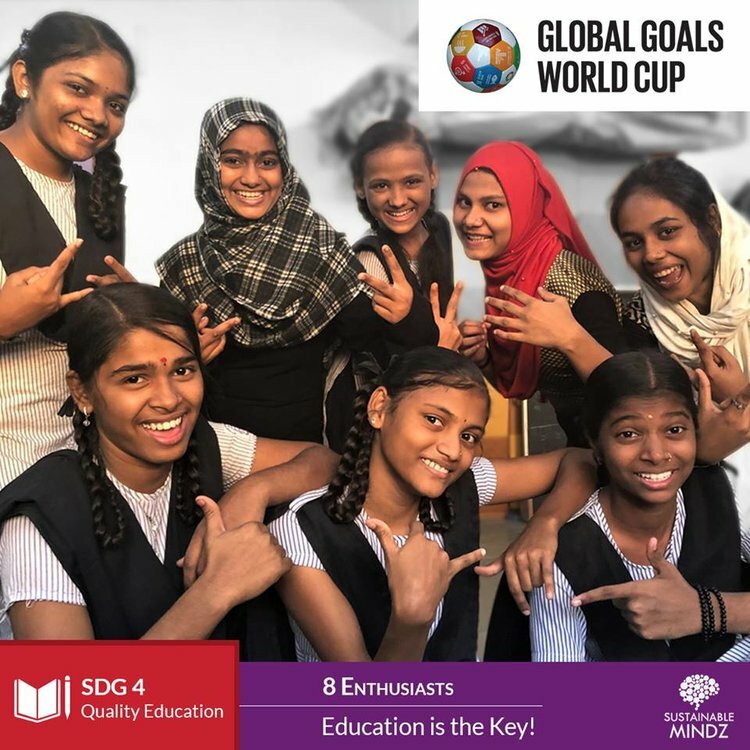 Catch this spectacular sporting event in Mumbai on 2nd February 2019 where 24 teams will come together to play football and inspire action for the SDGs. 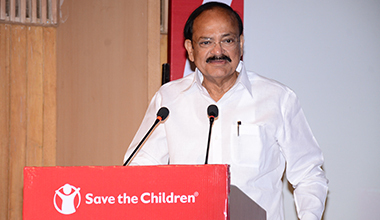 Save the Children has embarked on a significant forward journey to continue to impact lives of children in street situation. Our effort on the ground seeks to address the biggest problem these children face – lack of identity. Our study, 'Life on the Street', found that the biggest problem that children on the streets faced was that they had no form of legal identity document, neither access to rights and entitlements. Denial of most basic rights - that we take for granted. From the right to go to school to access to clean drinking water, sanitation, and even schemes they could be entitled to. They remain on the margins, marginalised and vulnerable. This is the story of over 20 lakhs who live on the streets of India. Our efforts on ground aims to change this reality. 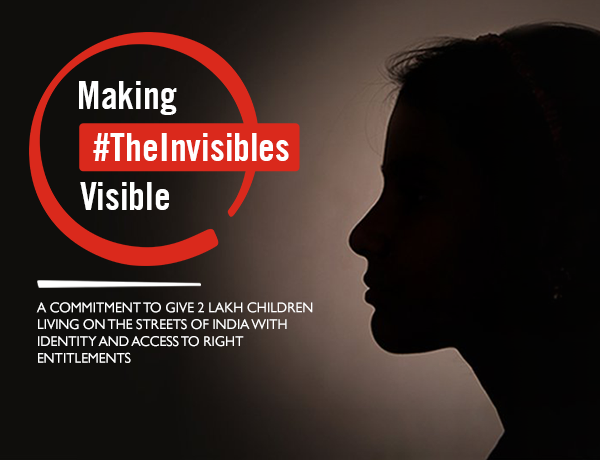 Our Commitment towards 'Making #TheInvisibles Visible' is an endeavor towards providing identity and claiming rights for children living in street situation. 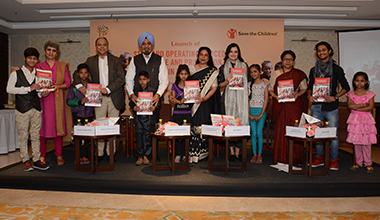 A life-changing event has happened in the lives of children living under the Sarita Vihar flyover in New Delhi. They have recently received an "identity". Through Save the Children-facilitated Aadhaar Camps, children (and even some elders) have been given Aadhaar Card - a document which accords them identity and recognition, something they lacked as street children. This has thrown open a window of opportunities for them as they can now get admission in school and get linked to various welfare schemes run by the government. A bustling community thrives under this flyover. One can hear the laughter and giggle of children running around and playing with each other. These children have been subjected to harsh and unfair conditions in the short time they’ve lived here. Teenager Saleha Khan of suburban Mumbai’s Govandi slum is an idol for others girls in her community for the resolve she has demonstrated to pursue her education. Govandi lies in Asia’s biggest dumping ground and the life expectancy here is close to half of India’s average life expectancy. The lack of safe drinking water and the shoddy sanitary conditions are aggravated by the toxic gases from mountainous heaps of garbage in the neighbourhood. Govandi’s physical environment is further aggravated by its unsafe streets. Girls in their teens would discontinue their schooling because their families feared for their safety. This was the case with Saleha – her parents decided she should discontinue her education once she finished with the 8th grade. Young Saleha would have none of this and so she decided to convince her friends to accompany her to school – the strength of numbers helped convince their parents and made it possible for them to attend school. Sultana has been living on the street near Maratha Mandir Zhopad Patti since age 4. Due to ill health, her father is unable to work and they survive on the 5/6000 rupees a month that her mother earns as a tailor. The local municipality would demolish their street at any opportunity. Without having any alternative, her family would build another temporary home and start living there. This has been the story of each family living on the street of Mumbai. The lack of infrastructure has created difficulties in her life be it to do with sanitation or education. Her family migrated from rural parts of Bihar with her parents. 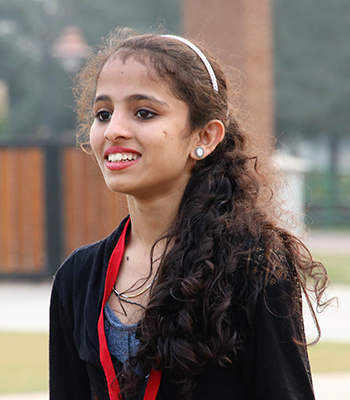 16 years old Sultana is completing her 10th board exam through correspondence course. Manisha currently lives under a flyover at near Elphinstone Road station. They do not have a home or even a proper roof under their heads, and are exposed to huge amounts of noise, pollution, and vehicular exhaust at all hours of the day and night due to a steady stream of traffic under the flyover. The toxic gases make the eyes burn and aggravate Manisha’s allergies, causing difficulty in breathing, a severe lack of sleep, and a low immune system. This is the same reason her father passed away two years ago. Manisha has been living under various flyovers and on footpaths for the past twelve years. Earlier, they lived in a small slum but were evicted because of a new IndiaBulls construction. They are often chased away by the BMC, which confiscates all their belongings and demands hefty fines, or moves their stuff around. 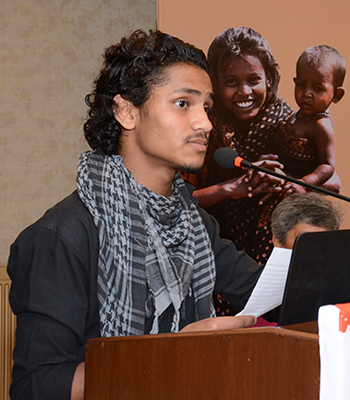 Salmaan was rescued by a local NGO as a teenager when he ran away from home due to extreme situations with his family. He survived the streets at a young age and then started living in a NGO run shelter home where he found theatre as an avenue to let out his frustration with his life. He wants to become an actor and has grabbed several roles in films as well at a young age. 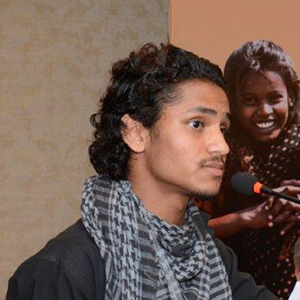 He is passionate about child rights and the rights of children living on the streets. He has advocated at several places for this right along with international fundraisers, government officials, rallies, concerts and events of Save the Children. A first generation learner, 15-year- old Kavita is an inspiration for all the girls in her village in Dungarpur district of Rajasthan. Education was a distant dream for her because the school was 7 kilometres away from her home. Her parents were reluctant to send her so far, fearing that it would not be safe for her to travel alone as no one could accompany her. Save the Children identified her as an out-of- school child and ensured that she was enrolled in school. She was linked to other students living close by so that she could travel with them. Her parents were also introduced to the school principal and teachers. Kavita’s school enrolment was a first step and, as she started attending school, other girls from her village followed suit. She is another one of Save the Children #Champions4Change. 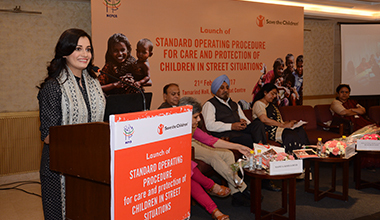 Our Artist Ambassador Dia Mirza has been a powerful voice in support of our work for children in street situation. 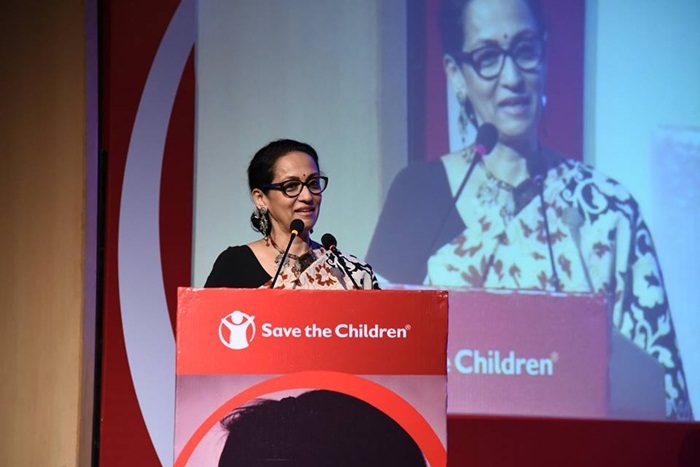 Watch her inspiring message on why street children deserve an identity. A bustling community thrives under this flyover. One can hear the laughter and giggle of children running around and playing with each other. These children have been subjected to harsh and unfair conditions in the short time they’ve lived here. Living under the constant shadow of a flyover, with cars zooming above their heads and with their parents struggling to make ends meet, they have never had the luxury of a real home. But the shortcomings in their lives couldn’t stop them from dreaming. Every single one of these children has a distinct personality - all of them are different and unique individuals. What they lacked was an identity in the eyes of the world, due to the absence of a document that holds the key to getting them the rights and amenities they deserve. The Aadhaar Card is the most important identity document in present-day India and is used extensively for availing benefits under various government schemes. The mission statement for Save the Children was to help these children get the rights they deserved (right to good education, healthcare and other amenties). Education was a distant dream for these children as no school was ready to accommodate them without an identity proof. They would often deny them admission due to this reason, which was heartbreaking and humiliating for both children and their parents. Most of the residents were migrants from small villages of Bihar and Uttar Pradesh and had lost most of their belongings, including documents like the birth certificates. Save the Children collaborated with the local civic agencies for organising Aadhaar Camps. This was achieved due to the rigorous work of our field staff which identified children lacking the documents and coordinated with various stakeholders. We did not stop at just providing them Aadhaar cards. We also helped these children get admission in schools so they can have an equal right to succeed in their lives. Today, young Shivani, Sanjana, Shobit and many more children like them can go to school and have the best chance at their living their dreams. "We were taken to a separate class for the session and boys were not a part of it. 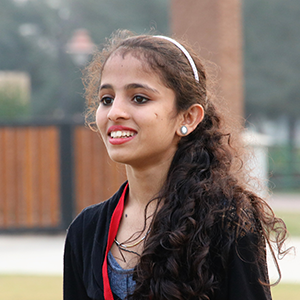 I think even if boys don’t menstruate, they too should be educated about it," says Saleha. Teenager Saleha lives next to the biggest dumping ground of Mumbai near Shivaji Nagar slums. The life expectancy in this area is almost half of India’s average life expectancy. Lack of safe drinking water, extremely shoddy sanitary conditions along with the toxic gases that the mountain-high dumping ground emits daily make this place nightmarish. 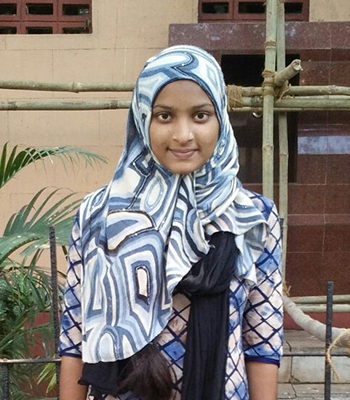 As soon as Saleha finished class 8th, she was forced to drop out of school by her family. Today, she reads in class 12th and is 18 years old. It took two years of constant counselling of Saleha's family by our team and a display of extraordinary perseverance by Saleha to bring about a change in the family's mindset. She has motivated more than 200 girls in her localities out of which, she could bring 10 girls back to school for higher education. She has conducted more than 250 sessions on menstrual hygiene and other issues related to WASH (Water, Sanitation and Hygiene) since past two years. She has reached out to more than 1500 adolescents who have adopted healthy menstrual hygiene practices. 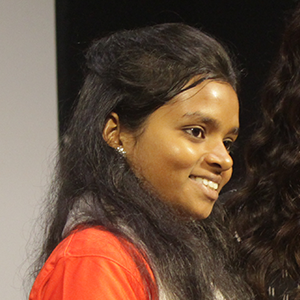 As a Campaigner, she led the Community based Campaign ‘WASH4LIFE’ in her slum community. Today, Saleha is studying in 12th grade in Awami Jr Girls College which is 5 KM away from her locality. Her exceptional work in advocating child rights has got her a prestigious award, the ‘Savitribai Phule Puraskar 2016’. She was also nominated for the International Children's Peace Prize in 2017. In September, 2018 she will be travelling to New York for the UNGA participating in the Bill and Melinda Gates Foundation. 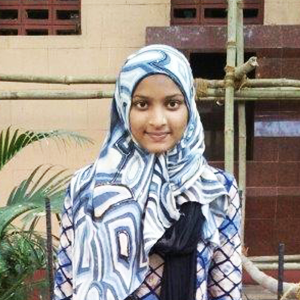 Saleha's dream is to become a Chartered Accountant, with her flair for mathematics, Saleha is currently studying her B.Com in 11th standard. 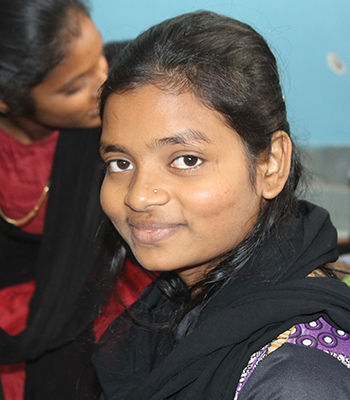 Sultana says, “It’s very challenging to live on the street especially for girls. Do you know how many toilets we have in our home? Not even one! There is no proper sanitation facility available near to our place, as a result, we wait till early morning for accessing our basic sanitation facility. It’s not safe to be on the street in the night. At times I use to get scared of the police uncle roaming on the street. We spent many sleepless nights during rainy days. Rain in Mumbai had spoiled our belongings several times. As Community Health Educator, I have been playing a very important role for my community, and, I try to perform my responsibilities with dedication and commitment. Other children call me Didi and I feel good to be known as Didi for them." Manisha has four siblings- one brother, and three more sisters. She is the middle child. Manisha's father passed away two years ago due to his asthma, which was aggravated by their living conditions. Her mother is now the sole earner of the family, and works as a maid in different houses. Both of Manisha's older sisters are married, and they try and look after the children whenever Manisha's mother is at work. Manisha has made it to her 12th standard without any drops in school, which is a testament to her dedication to education. Given her situation, making it to the 12th grade is truly an achievement. She is currently studying in the banking stream, which is not easy. Yet, she perseveres and studies as much as possible during the day, since there is no electricity in the nights. Manisha used to be the Manager of the CDK, a children’s bank and saves money so that she can use it for household purposes. The CDK has also helped her understanding banking further, especially as this is her chosen field of study. She says, ""I will be in college soon and want to make a life where people know me by my work. But my dream is that there are many more Manishas who should not go through the hardships that I have experienced. All of them should get their rights and equal opportunity and an opportunity to dream and make it a reality." 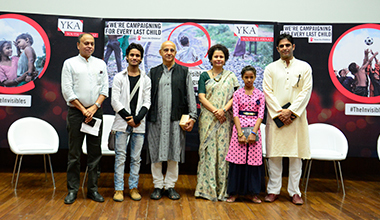 In his own words, "Today I want to talk about those kids, who you see everyday – on the pavements and at the red lights, knocking on our car windows," says 15-year old Salmaan, addressing a full house, at a recent event. "For these children, I have written four lines," he continues. “Hum jaise bachhe sadko par (children like us, living on pavements) Shehero mein, roaming par rehne wale (we are like wanderers in the city)Hum badi badi imarathe dekhte hain (we see high rises everywhere around us) Lekhin ye baath sach hai, ki imarathe hamare liye nahin ban gaye hai (but the truth is that these buildings are not built for us)." 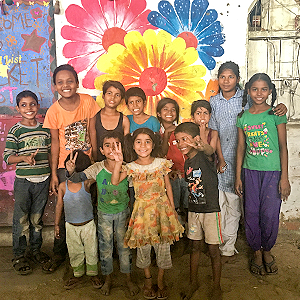 You may wonder, why I am talking about them – because I have also faced the same problem, before I managed to come out from that life, shares Salmaan, outlining the stark realities of life, having himself survived the streets of North Delhi, as a child. "Under the scorching sun, with our feet burning, out in the rain and in the cold, we face many problems, even violence. At an age when we are supposed to go to school and get to play with friends, we are forced to earn a living.We never find a place where we are welcome or feel safe from harm. Don’t we have the right to dream and aspire for a better life, just like other children?” he questions. What pricks him the most, however, is the constant denial of identity – “Chhotu (small child), kale (dark-skinned), gudiya (doll) – these are just some of the names we are called every day; but never by our real names." Latifa belongs to a family of six. She has two brothers, and a sister. Her mother initially set up a small paan-beedi shop on the footpath, which serves as their main source of income. Over time, the roadside shop has graduated to selling small bottles of shampoos and soaps, which adds to the family income. Latifa's father used to be a member of the Dolphin Club, supported by the partner organisation of Save the Children due to their proximity to the shore of the Haji Ali Dargah. Until a few years ago, Latifa used to live on the street with her family. They survived the barrage of monsoons year after year by building roofs of plastic sheets. Latifa's books and belongings would often get washed away during floods. Hamara Foundation, partner organisation of Save the Children, eventually succeeded in convincing Latifa’s parents to rent a small 8x10 room since their daughters were growing up. With financial aid from the Partner organisation of Save the Children, they now live in a small room, but still struggle to pay the monthly rent. Latifa initially did not enjoy studying at all. She found her subjects extremely difficult, and the situation at home did not make it any easier. The BMC would break down their shop at least once a week and confiscate all their belongings. The entire family would then work together to procure their goods once again, and all these stresses affected Latifa’s ability to study.This difficulty led to her failing her ninth grade, after which her self-confidence took a serious hit. She decided she did not want to study any more, and all convincing by her parents was in vain. However, the partner organisation of Save the Children decided that she could instead take the year off to work on a vocational skill she was interested in, while they would try to reinstate her interest towards education. Therefore, Latifa was enrolled in a six month-long course in stitching. Towards the end of the year, she regained her interest in studies as well as her self-confidence, and re-enrolled in a night school. Latifa also has a low immune system due to a bout of tuberculosis that she suffered from. It was diagnosed after an awareness camp, and Latifa underwent a full six months of treatment sponsored by Hamara Foundation and Nair Hospital. Now, she has been declared healthy once again. Latifa spends all her time at the shop, alternating between helping out and studying. She is unable to study in the night as there is no electricity. During exams, she usually studies under the streetlight. The bathroom and hygiene facilities are also subpar- they are charged to use the public toilet which is far away from home. Yet, despite all these challenges, Latifa has persisted. The fact that Latifa has made it till the 10th grade is an achievement in itself. Her score in the 9th grade final examination was 64%, which is amazing considering her circumstances. As one of the most proactive and participative children in the group, Latifa is a true leader. Her inspiring nature ensures that all the children in the community look up to her. Her position as a Community Health Educator only helps reinforce this. She has conducted several sessions on hygiene and health, and is the figure that her community turns to in times of health crises. In addition to her classes on stitching, she even attends classes on computer coding to provide her with a nuanced understanding of the world outside, and help build her skill set. She has even sold some of the dresses she has made with the help of her classes, which has been invaluable to the family income. Latifa is a loving and caring girl, whose kind nature has earned her many friends. A natural born leader, Latifa truly embodies a Child Champion.